Going into the 2019 season, Texas will be searching for a way to plug the holes left by the departure of Patrick Vahe, Elijah Rodriguez, and Calvin Anderson. Texas currently has quite a few candidates to replace the departures with Sam Cosmi moving over to left tackle and Derek Kerstetter and Denzel Okafor fighting for starting spots on the line. With those three looking to play, Texas only has nine other offensive linemen guaranteed to be on campus next year. Of those nine six haven’t played any or any meaningful snaps and another (Patrick Hudson) might be going into medical retirement. This means that the staff is in overdrive to find another experienced presence on their offensive line to fill in the depth chart. They have been in contact with a few different graduate transfer prospects. Here are, in my opinion, their three best choices. Background: It’s not hard to see why he is extremely sought after. During his time at Georgia Tech, he was a three-year starter (32 consecutive games), a freshman All-American, All-ACC second team in 2017, and All-ACC first team in 2018. Many sites have claimed that Braun was one of the top two or three offensive linemen in former coach Paul Johnson’s 11-season tenure. He is an academic All-American and graduated in three years as well, so getting into the Texas should not be difficult. What could be difficult is moving from Georgia Tech’s patented flex-bone offense into Tom Herman’s pro-spread. Recruitment: While Braun did play in Texas at Hallsville HS his Senior year, he is originally from Kissimmee, FL. So the recruitment for his graduate year is between those two programs, Florida and Texas. There is mutual interest between Texas and Braun as Herb Hand made a trip out to see him last weekend and things seem to be moving quickly here; however, he will be visiting Florida this weekend. Background: Originally from Pennsylvania, Jonah Jackson was not very highly rated or sought after with Rutgers being his best offer. He made the most of his time at Rutgers, starting for two years, being named the team captain, and receiving honorable mention All-Big 10. Recruitment: He is one of the most in-demand grad transfers in the nation with an OV to Ohio State this weekend and visits planned to Oklahoma, Penn State, Iowa, and others. Getting him out of Big 10 country may be difficult, but he played under Drew Mehinger while Mehringer was an OC at Rutgers. This one seems to be a bit of a long shot for Texas. Breakdown: Talk about a good guy on a bad team. Jonah Jackson is a step above every single guy on his team. Not just that he’s extremely versatile having played both center and guard. At 6’4” and 300 pounds, he’s light on his feet without giving up size, and he plays fast. Background: A very highly recruited prospect. As soon as he announced his intentions to transfer, he received communications from dozens of schools. After redshirting as a freshman, RJ Proctor has appeared in 32 games during the last three years including twelve starts. He did miss some time last season due to a knee injury suffered during preseason camp, but came back and started in six games. Recruitment: Herb Hand has been in constant contact with Proctor, and as we reported, he has a scheduled an official visit to Texas on February 16th. The other schools that are in serious contention with Texas are Florida State OU, and Penn State who are each expecting official visits. Breakdown: At 6’4” and 335 pounds, he’ll bring some size into the offensive line room that isn’t really there. Whether it is in the pass or the run game, Proctor is a clog in the middle of the field and is hard to get past. He’s comfortable mauling somebody between the tackles and working his way up through the middle of the field. ***Texas got a bit of a sting last night as 2020 DB, JaylonJones (Cibolo Steele) committed to Texas A&M while on an unofficial for the Aggies Super Bowl party. Jones is a heck of a physical specimen so I don’t want to sugar coat and say this one, again, isn’t a bit of a sting. But I’ll add this. 1) Texas is in a good spot for Kelee Ringo and I’m not sure having a top CB in Texas committed to you this early is going to help your cause with Ringo much. 2) Texas has an absolute elite (at least on film) cornerback sitting out in Florida right now who I imagine they could reel in if they wanted to in Ethan Pouncey (Jordan Pouncey’s brother). More on Ethan later. We didn’t reach out to the family right after the commitment but this week, if it seems appropriate, Will plans to speak with Jones’ father to see if the door here is truly closed. ***This brings me to Zach Evans. Evans was expected to be at the Aggies Super Bowl party, as well. He canceled the trip at the last minute. I checked with Zach’s brother and it sounds like the family isn’t too happy about what they characterize as some unpleasant insinuations made by certain Aggie faithful. This is obviously not a great thing for the Aggies as they are, currently, from what I gather the biggest threat to Texas. In fact, in my estimation, it’s Texas and Texas A&M somewhere in his top two or three though I know that it changes and there is still a long way to go in this one. ***Texas hosted Princely Umanmielen this past weekend. He came in for a morning visit and I’m told he played a little pool with the coaches and hung out before heading up to Baylor for an unofficial visit. Princely’s been on campus a lot and I think what this quick visit shows is he is very comfortable with Texas and the staff. Most of the time when a player spends that much time on campus, they end up at said school. There are obviously exceptions (see Barron Browning who used to spend every weekend, it seemed, at TCU) but that’s the general rule as I’ve seen it. I’ll speak with Princely in detail later this week. ***As I mentioned in my recent update on Lakia Henry, Arkansas was trying to get him on a last minute unofficial visit back to Arkansas on Sunday. They did indeed accomplish their goal. Also, as I noted, after speaking with him over the phone following his Texas visit, I came away thinking Texas had done enough to win him over from Arkansas. I do think the Texas trip surprised even Lakia, in the sense that I don’t believe he anticipated loving UT and Austin so much. I’ll try to connect with him later today to see what impact, if any, this most recent Arkansas visit had. I’ll be on the road headed out to see some additional players this week and next. But again, I’ll try to connect with Henry and hopefully bring you some good news. When Head Coach Tom Herman was making visit to local high schools in the DFW area last weekend, he ended up making a stop at West Mesquite High School to see RB Ty Jordan. Jordan said he and Coach Herman were able to sit down and chat for a little during his visit. Even with the Texas staff going all in on North Shore RB Zach Evans, Texas will likely take two backs in the 2020 cycle. Jordan said Texas is solely recruiting him as a running back. He would be a phenomenal change of pace back from the bruising Evans. Jordan is also a very talented returner, with film similar to D’Shawn Jamison a couple years ago. With track season starting up for Jordan, he said visits to schools will be at a premium. However, he did say he wanted to get down to Austin in the next couple of weeks and again in March. It’s safe to say Texas is high on his list early on. Justin Wells of Inside Texas is reporting that Gary Johnson, Davante Davis, Charles Omenihu and Kris Boyd have all received invitations to the NFL combine. We can confirm this report. You can also add another player to that list. Per source, Lil Jordan Humphrey has also received an invite to the NFL combine. At times this season, Lil Jordan was a man amongst boys against Big 12 opponents. He finished the season with almost 1200 receiving yards which nearly tripled his sophomore year’s total. Many Texas faithful including the coaching staff had hoped Humphrey would return for a final year but ultimately Humphrey opted to enter the NFL draft. While he did not receive a 1st or 2nd round grade, with a good combine performance he’ll have a chance to move up the draft boards. The increased number of NFL invitees out of Texas is certainly a great sign of the development happening under Herman and staff and should help make Texas’ case on the recruiting trail. I just spoke with Super K who is currently on the road. If you recall, yesterday he mentioned that he had not been able to speak with JUCO linebacker Lakia Henry following his visit to Arkansas. K was able to finally touch base with him today. For what it’s worth, Lakia told K that he has not yet made up his mind as to where he wants to go. 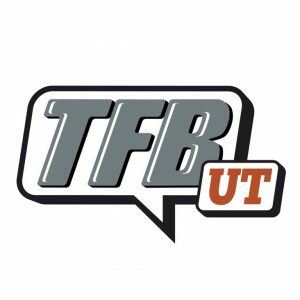 Just spoke with K again and he tells me that he feels like Lakia is being forthright with him and that he is indeed torn between Arkansas and Texas. K’s sense of it is that Lakia probably favors Texas after his visit and seeing all that Austin and Texas had to offer. However, there is a sense of loyalty to Arkansas as they have recruited him for such a long time and he has a strong and longstanding relationship with that staff. While K is still not ready to predict this one to go Texas’ way, he does feel better about their chances than he did yesterday. Hope to have more this evening.